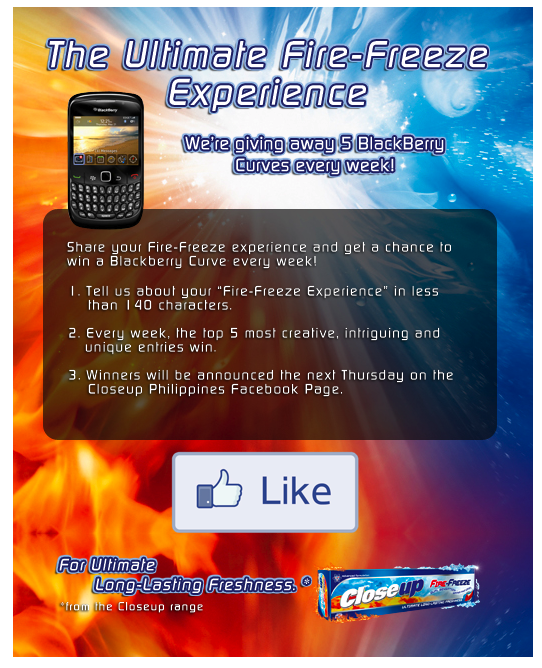 Share your fire-freeze experience and get a chance to win a Blackberry Curve every week! 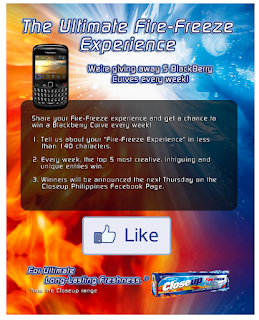 1. tell us about your "Fire-freeze Experience" in less than 140 characters. 2. Every week, the top 5 most creative, intriguing and unique entries win. 3. Winners will be announced the next Thursday on the Closeup Philippines Facebook Page.